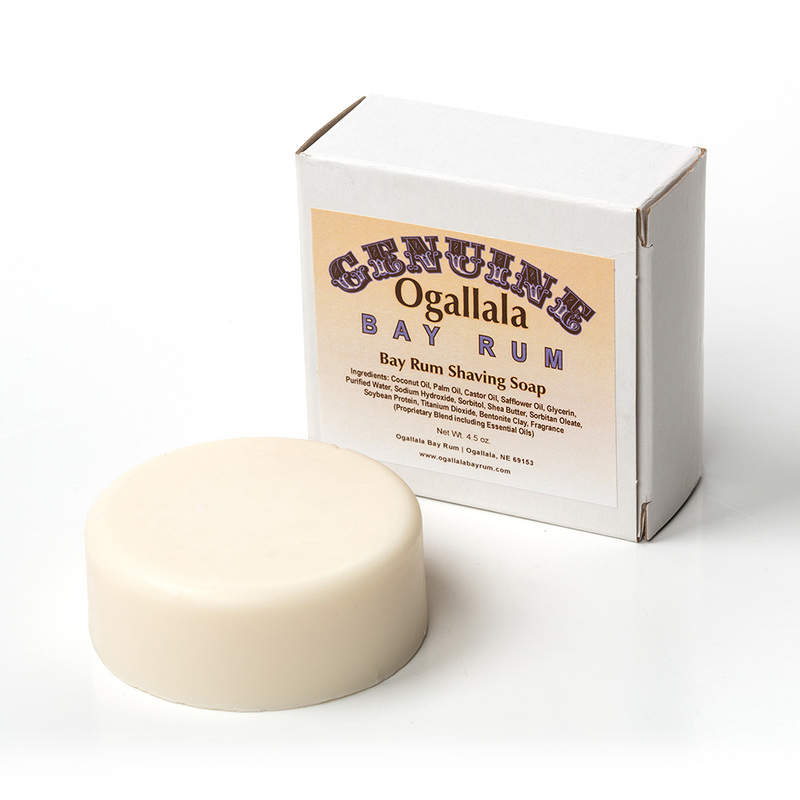 Originally used by cowboys on the trail, Ogallala bay rum shaving soaps are strong enough to clean off the bad smell of herding cattle. Imagine what it will do for you. Made by distilling rum with the leaves or berries of the West Indian bay tree, it's distinctly sweet, spicy and woodsy, with hints of clove and citrus. Ogallala bay rum first started out as an aftershave as early as the 16th century. The traditional scent caught on and continues to a popular choice for men from all walks of life. Each shaving soap contains: Coconut oil, palm oil, castor oil, safflower oil, glycerin, purified water, sodium hydroxide, sorbitol, shea butter, sorbitan oleate, soybean protein, titanium dioxide, bentonite clay, fragrance (proprietary blend including essential oils).